Khloé and French buy Puff a birthday CADILLAC! Khloé Kardashian and French Montana have bought Puff Daddy a white Cadillac Escalade for his birthday. 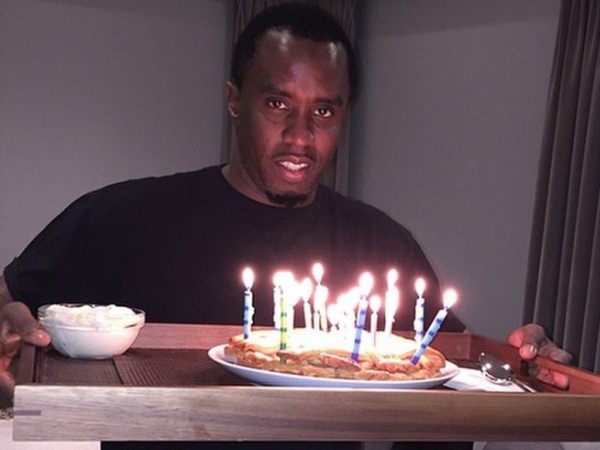 Rapper Puff turned 44 yesterday and a host of his friends were on hand to ensure the day was extra special. Among them were French and reality TV star Khloé, who have reignited rumours their romance is back on by buying Puff a joint gift. Not ones to do things by halves, they opted for a swanky new car, with prices starting at $73,000 for the vehicle. "I HAVE A PEARL WHITE ESCALADE NOW!!! THANK YOU @frenchmontana khloekardashian #DIDDYBDAYPARTY (sic)," he wrote on Twitter. The comment was posted alongside an Instagram video of the hip-hop stars inside the car. Puff is sat in the driving seat of the stationary vehicle clutching a champagne glass of drink, with French grinning in the passenger side. "French Montana buying n***as cars and sh*t. Can't buy a n***a a motherf**king Ferrari, a Bentley, a Rolls Royce, n***a got that. [I] ain't got a pearl motherf**king Cadillac. I got one now," Puff gushed. The star's bash was an A-list haven, with Snoop Dogg also attending. Swizz Beatz was another guest, and he knew better than to arrive empty handed. The musician brought along a one-of-a-kind piece of artwork, which seemed to thrill Puff. "MY BROTHER @therealswizz!! Thank you for this gift!!! #DIDDYBDAY STILL GOING!! (sic)," he wrote on Instagram. Earlier in the day the star had shared a snap of a signed copy of Michael Jackson's Thriller album, which had been one of his first gifts. Later Puff posted another video to the photo-sharing website, which was shot in black and white. He filmed himself spinning around a room with French, explaining that his party had finished. That wasn't his final update though, with Puff later using the social media site to thank his girlfriend Cassie Ventura for making the day extra special. He added a picture of himself grinning over an apple pie which was boasting many birthday candles. "All of my life all of the kids got birthday cakes all I wanted was a apple pie! So I never had birthday cakes. I never wanted a birthday cake. All I wanted was apple pie! And that's what I got tonight from my baby a apple pie ! Love you girl @cassie! (sic)," he wrote.